Since last week, I wrapped up chapter 4, wrote chapter 5, and began chapter 6. This accumulates to ten pages or about 1,800 words. I’m at a point in the story where the plot has taken a turn and should pick up. I know that more details of my plot need to be filled in at a later date. This drives me crazy. I’m trying to get the plot down so that I can go back and beautify it with details. I’m a perfectionist at heart and not having the story at its perfect state before moving on is something I want to learn how to get over. I finally took my own advice. Not right away, of course. 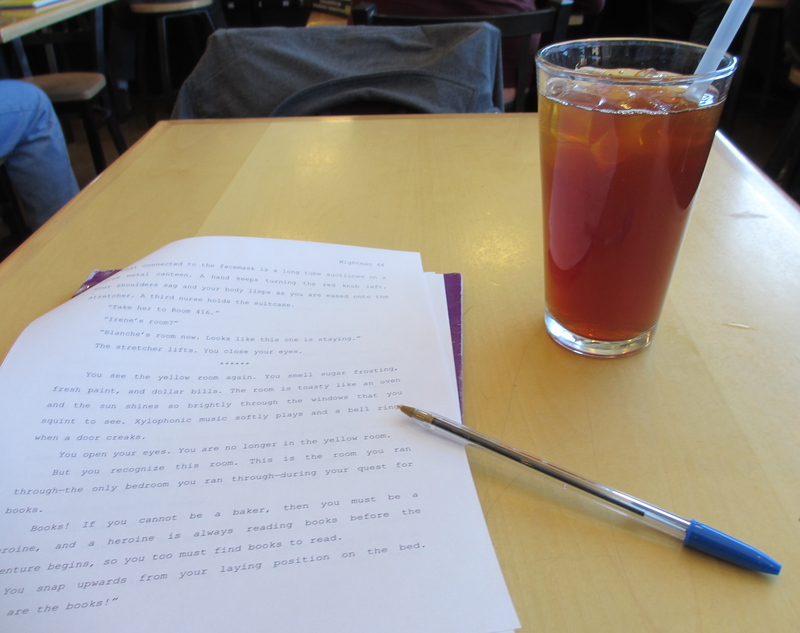 I did my usual go-to-a-café-to-write-in-the-afternoon routine, struggling to get words on the paper. I found myself distracted and wanting to edit rather than write. But as I’m winding down for the night, minutes from falling asleep, I find that my best ideas for my story come to life. So now I write for 20 minutes before I fall asleep. And it’s my best writing. Guess my creativity is at its best at night. My goal is to at least complete chapter 6, and aim at writing 15 pages, especially if that takes me into chapter 7.